QUT Murri-Ailan Way is proud to present Paperbark: First Nation Narratives with Dr Anita Heiss. Dr Heiss is a member of the Wiradjuri nation of central New South Wales and is one of Australia’s most prolific and well-known authors of Aboriginal and Torres Strait Islander literature. A poet, satirist and social commentator, Dr Heiss will be speaking about her work and the Aboriginal and Torres Strait Islander pioneers in literature who have inspired her next Wednesday 8 August at QUT Kelvin Grove Library next week (SOLD OUT see below for waiting list email). Avoiding Mr Right (2008) Offered the professional opportunity of a lifetime, Peta leaves her coastal life and doting boyfriend James in Sydney for a 12 month stint in the ‘fashion capital of Australia’. Am I black enough for you? 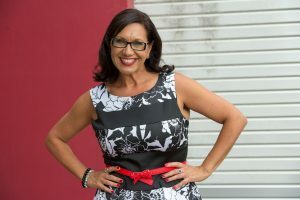 (2012) Anita Heiss gives a first-hand account of her experiences as a woman with an Aboriginal mother and Austrian father, and explains the development of her activist consciousness. Read her story and ask: what does it take for someone to be black enough for you? I’m not racist but– : a collection of social observations. (2017) This collection of social observations, thoughts and conversations will challenge the reader to consider issues of imposed and real Aboriginal identity, the process of reconciliation and issues around saying ‘sorry’, notions of ‘truth’ and integrity, biculturalism and invisible whiteness, entrenched racism and political correctness.